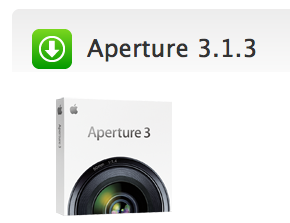 This Wednesday Apple released Aperture3.1.1, the recent updated to its professional-level photography mobile software. In the update there is included general compatibility fixes as well as improvements in performance and stability, as such, for all Aperture 3 users, the new version is recommended. 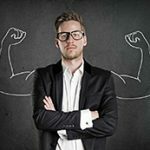 Aperture 3.1.3, particularly touts better performance and reliability for syncing albums that are published on the Web, at present handles slideshow exports in the background and let users to empower or disable support for motions in its preferences. Additionally, now the Crop tool supports correctly gestures for determining size, consumers may shift-click snapshots in Faces to render published albums and contiguous selections on Flickr, Facebook and MobilMe now uncover in a Web section of the Project Inspector. There is also a few of other patches that address a problem to the place where a blank sheet would disclose during a print or book order, an issue where wrong metadata presets were applied to a glitch and imported audio, where Aperture may quit suddenly when trimming audio in full-screen mode. Everybody who enters names in Faces which deploy accented, Korean, Simplified Chinese or Japanese characters should find that process clearer and the program as well features better stability for watching video clips and ameliorated reliability for rebuilding and repairing your library. The update of 292.02 MB is available through Software Update and requires Mac OS X 10.6.6 later and Apple’s support downloads site.